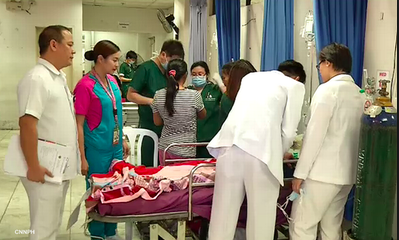 Recent emergency situations have circulated over the internet wherein hospitals were more concerned with the deposit payment of their service rather than the performing their services first. Health services should be available with or without deposit, A Department of Health (DOH) reiterated. 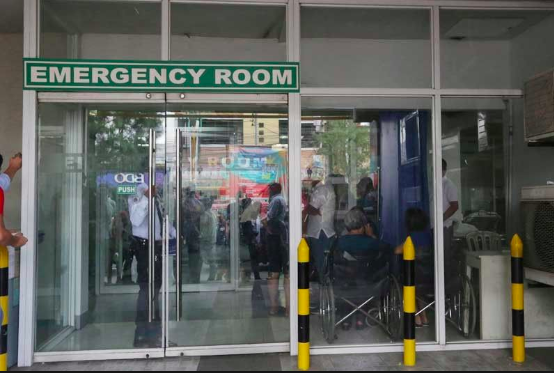 Patients seeking emergency treatment in both public and private hospitals should be aided immediately. 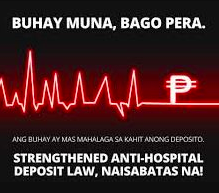 Assistant Secretary Elmer Punzalan said in an interview that “Government hospitals do not require deposits from patients. 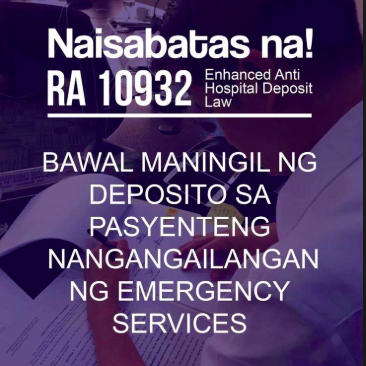 Private hospitals on the other hand (should) treat patients, then refer them to government hospitals, if necessary"
Punzalan noted that there might be on going opposition RA 10932 or the Anti-Hospital Deposit Law, there must be a proper venue for it. 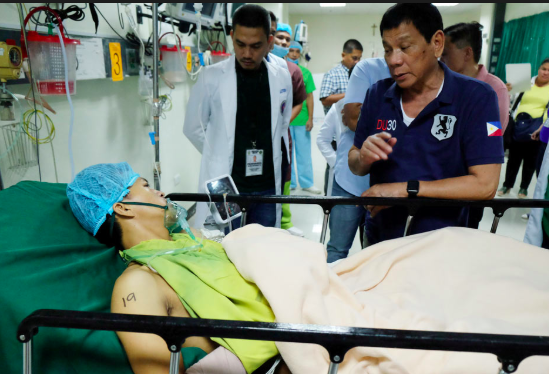 Signed by President President Rodrigo Roa Duterte on Thursday, August 3, states that it is unlawful for hospitals or medical clinics to “request, solicit, demand or accept any deposit or any other form of advance payment as prerequisite for administering basic emergency care, for confinement or medical treatment, or to refuse to administer medical treatment and support to any patient"
or a fine of not less than P100,000.00 but not more than P300,000.00 or both. Also, the Department of Health (DOH) has the right to revoke the license of the facility to operate if Three (3) repeated violations has been committed as stated in RA 10932. Furthermore RA 10932 adds that an underlying liability arises against the hospital, medical clinic and the official, medical practitioner, or employee involved in the event of death, permanent disability, serious impairment of the health condition of the patient-complainant or in the case of a pregnant woman, permanent injury or loss of her unborn child as a result of the denial of his or her admission to the health facility. 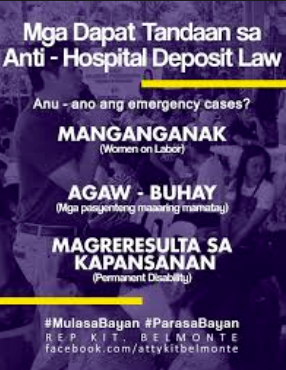 This law has been supported by those who seeks to make health care accessible to every Filipino. However, continuously slammed by a number of private hospitals due to some inadequacies. These private hospitals claim that their medical stocks and supplies cannot be replenished right away; the services of their medical professionals wouldn't have guaranteed compensation. 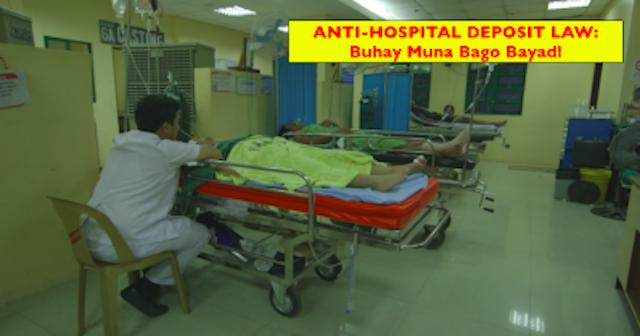 However RA 10932 stated that "The Philippine Health Insurance Corporation (PhilHealth) shall reimburse the hospital or clinic for the cost of basic emergency care and transportation services given to poor and indigent patients"
RA 10932 or Anti-Hospital Deposit Law, promulgated by the Department of Health with the cooperation of PhilHealth, Bureau of Internal Revenue and Non-government organizations (NGOs) advocating for public health. 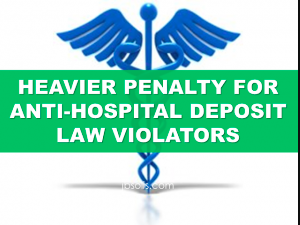 This law makes sure that private hospitals mustn't decline a patient due to its incapacity to render deposit and fulfill their utmost duty first - save lives.